If I've learned one thing over the past fifty-one days, it's that seasoning can really make a dish. I'm not talking about bog-standard salt-and-pepper here, I mean the use of herbs and spices. For certain dishes I will add a dash of this and a dash of that, but my eyes have really been opened to how a simple pasta dish or soup that I may have made before suddenly comes alive with the addition of that little something extra. 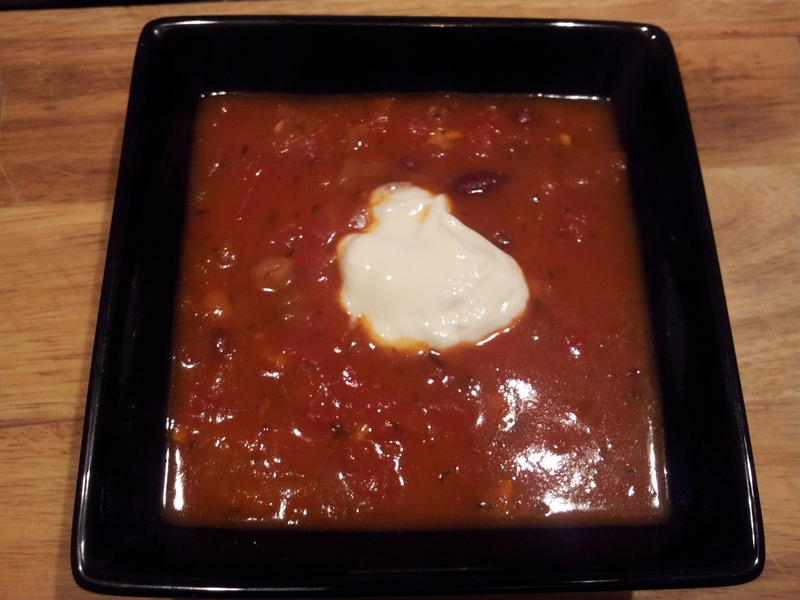 Take tonight's dish of Mixed Bean Chilli Soup. Sainsburys sell a very good version in their chilled soup range but legend has it that this tasty soup can only be made by means of a secret rite that can be performed once a century when the moon is in the eighth house of Aquarius. 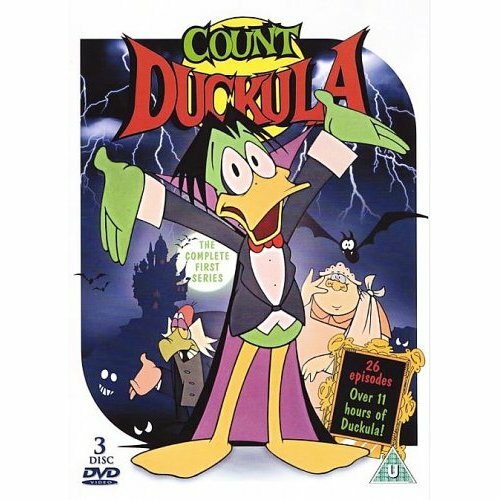 Yes, okay I watched too much 'Count Duckula' as a kid! But seriously, ever since I took a shine to it, they seem to only sell it in winter months and maybe it's so popular it just sells out quickly but I've only had the odd pot every now and again since I discovered it. Last winter, I had a whirl at making my own. Quite often, I steal my recipes from the back of packets of pre-made stuff and it normally works quite well apart from when the recipe in question has quite specific flavouring. The producer lumps herbs and spices into 'natural flavourings' before listing all the additional e-numbers and a healthy dose of MSG that are also required to give said product a modicum of taste. So I made my own version using a basic tomato soup and some chilli. Nowhere near the same. After a bit of Googling, I came across this recipe on AllRecipes.com. It sounded okay so I thought I'd give it a whirl. And the minute I spooned the cumin into the pan, I knew what my previous attempt had been lacking. It's silly as I use cumin a fair bit but I'd never stuck two and two together that that smell was the same as the chilli bean soup I was so enamoured with. I am one happy camper tonight and will be making this soup regularly throughout the winter months. I didn't use mushrooms as the Sainsburys version doesn't and I wanted to do a like-for-like comparison. in future, I will also try to find cans of mixed beans that don't contain chickpeas because despite cooking the beans in the soup for twenty minutes, the chickpeas still had a bullet-like consistency and the flavour just didn't really work with the other beans - or I'd just make my own bean mix next time.